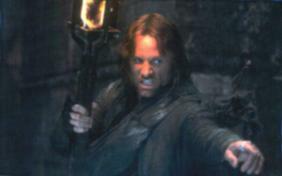 "Stay back Peter, or you'll get this torch in your face, just like that nazgul did!" 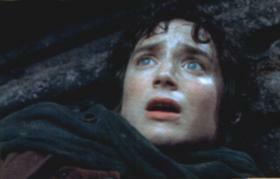 Aragorn of the Dunedain realises too late the horrible fate that awaits him. 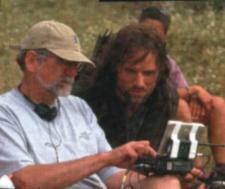 Peter Jacksons right hand man, the producer Barry Osbourne, begins the brainwashing process on Aragorn Elessar, using a newly devised hypnotic memory-erasing device. 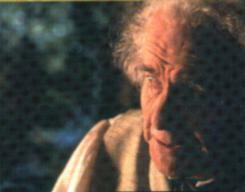 The hobbit Bilbo Baggins looks on in horror as Peter Jackson smokes the last of his stash of Old Toby. 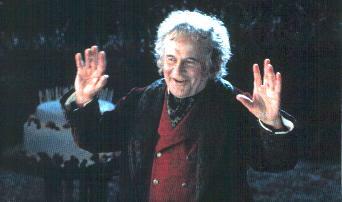 Bilbo agrees to come quietly after Peter Jackson promises him a lifetime supply of hobbit drugs. 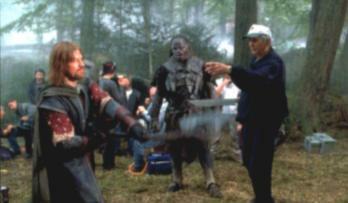 Testing begins on the Boromir replacement robot, after the real Boromir died tragically during the filming of the documentary. If this seems far-fetched, just watch any Sean Bean interview and it will all make sense. The group brainwashing sessions proved to be a great success. 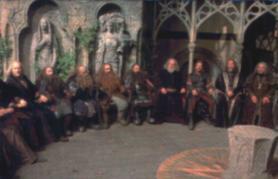 Even Gimli the dwarf became so docile that he only made one racist comment about elves and hardly spat on anyone. Frodo Baggins discovers that in order to take over the life of the kidnapped american actor Elijah Wood, he must first star in the movie Flipper. 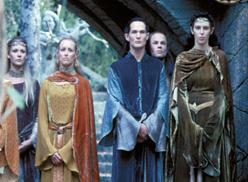 No matter how many times you brainwash an elf, you will never get them to change their fashion sense. 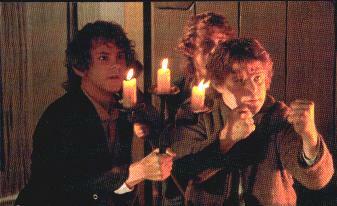 Samwise Gamgee leads a brave but ultimately foolish (and kinda small) revolt against Peter Jacksons minions. 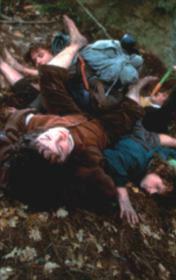 Peter Jackson attempting to spruce up the sexual relations between the 4 hobbits, and sell it on the black market as a separate film called, simply, "Hobbit love". 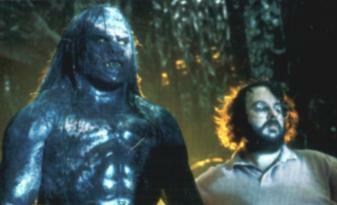 Peter Jackson and Lurtz act as if nothing happened between them the previous night. 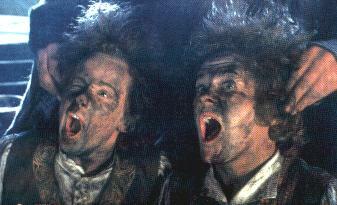 Despite disguising themselves as a pair of wacky coal miners, Merry and Pippin are eventually caught. Sadly, hobbit profanity proved to be no use in resisting Peter Jacksons heavy artillery.